"The events calendar would be an ideal place to promote this event, BTW." "Thanks for the head-up on this, Val!" "The 2018 Irish Arts & Writers Festival (Oct. 11-15) program just announced. https://irishwriterslosgatos.com/festival-program2018/"
"More upcoming screenings: FESTIVAL DE CINE POLÍTICO DIRIGIDO POR MUJERES (Festival of Political Film Directed by Women) Saturday, September 22nd at 9:00pmCineteca, El Matadero Madrid,…"
Hey Valerie, fáilte to The (New) Wild Geese, which your support has helped bring about. Looking forward to learning more about your work, your 10th anniversary edition of "Shalom Ireland" and, ultimately, your own Irish story. Here's an interview we conducted with Valerie, BTW, about a decade ago. Just watched the trailer video you posted here ... very interesting! Thanks for that. 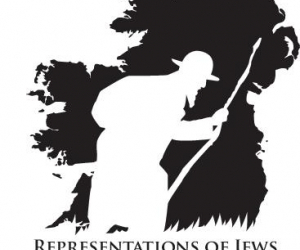 Hope to see / hear more from you about Ireland's Jewish community (and other things) in the days ahead. Thanks, Ryan! Glad you enjoyed Shalom Ireland! Here, in the Maritimes, we are an hour ahead of NYC (where I come from), which makes me closer to Ireland. My adopted mother lives in Finglas. Again, if you need info re the PEI Jewish Community, look at PEIJC.org. I get mail going to the secretary. We are an even smaller community than Ireland...but we are a feisty group! Please come and see us...I know we would all love to see your movie...can I get it on Amazon yet? Thanks Valerie....Again, sorry I missed the chat! I'd like to clarify something you said, Valerie. Reform Judaism originated in 19th century Germany. Valerie - Thank you for selecting my name to receive a copy of Shalom Ireland. I live in the suburbs of New York. I constantly run into people who believe that the problem in the North of Ireland is religious and I tell the story of Robert Briscoe. I was in Ireland last October and I was shocked to learn that Judaism is now the number four religion in Ireland, replaced at the number three spot by Islam. Friendship, yes. Hosting, no. Coincidentally, just Monday morning I sent Gerry a copy of an article I wrote "The Jews of Ireland" back in 1988. I doubt Gerry has received the envelope yet, so to ask us to "friend" is spooky. Included in the envelope is a letter I wrote also in 1988 which I sent to Menachin Begun asking him to confirm something Robert Briscoe said about a meeting they had back in 1947 (or so). Mr. Begun replied and I enclosed a copy of Mr. Begun's letter. Good luck with your documentary. If you haven't plans for St.Paddy's night yet , I have a non-drunken show at the Great American Music Hall. Come and dance!